Homepage > PEUGEOT 1007 WINDOW SUN BLINDS [Fits all 1007 models] 1.4 1.6 & HDI NEW! 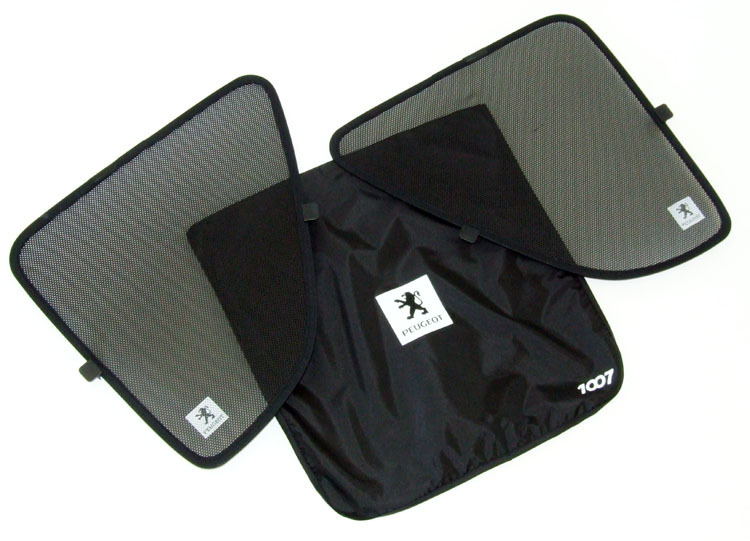 Rear side window sunblind - set of 2. These retractable sunblinds reduce glare and help keep the interior cool. Product Description: Rear side window sunblind - set of 2. These retractable sunblinds reduce glare and help keep the interior cool.